Nozon, Parallaxter, Starbreeze LA Inc, Starbreeze USA Inc, Starbreeze Paris, Starbreeze Barcelona, Starbreeze IP LUX, Starbreeze IP Lux II Sarl and Dhruva Infotech Ltd could be indirectly affected by the reconstruction since they are partly funded by the Company. Other companies within the group are not affected by today’s decision. The Company has suggested Mr. Lars Söderqvist from WSA Law firm as Administrator. 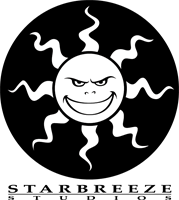 This information is information that Starbreeze AB is obliged to make public pursuant to the EU Market Abuse Regulation. The information was submitted for publication through the agency of the contact person set out above, at 08.00 CET on 3 December 2018.